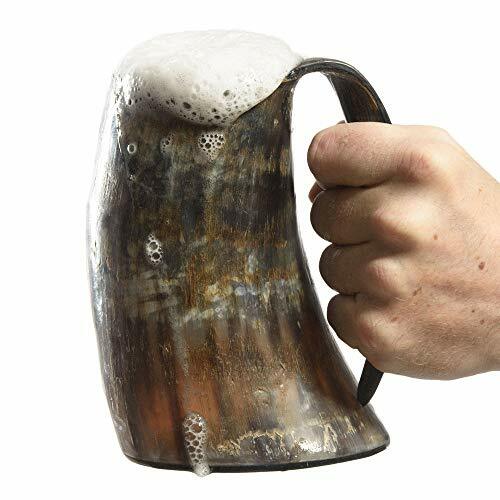 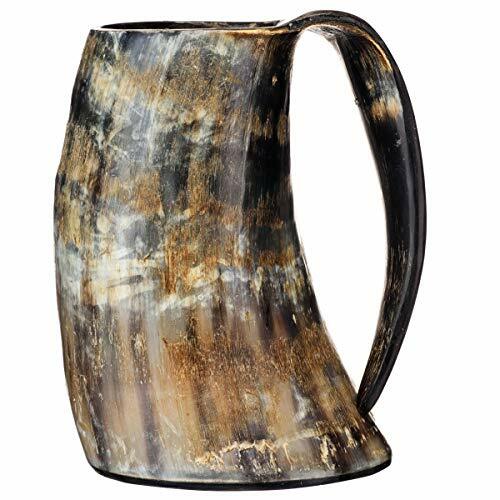 ✅EXTRA LARGE HORN CUP SIZE - Holds approximately 20oz of your favorite mead, beer, wine, ale or any other beverage. 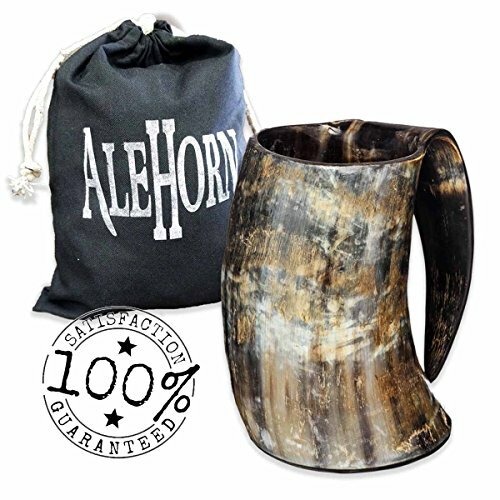 Stands a full 6-6.5" tall and features a unique 1 piece formed horn handle. 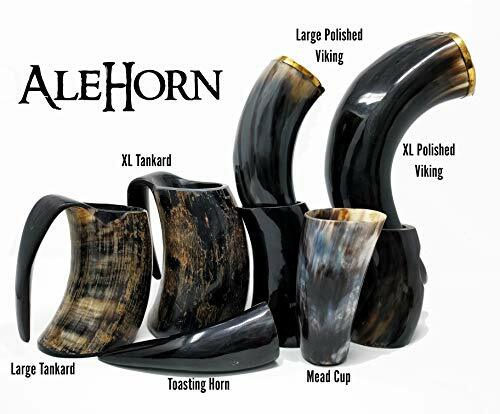 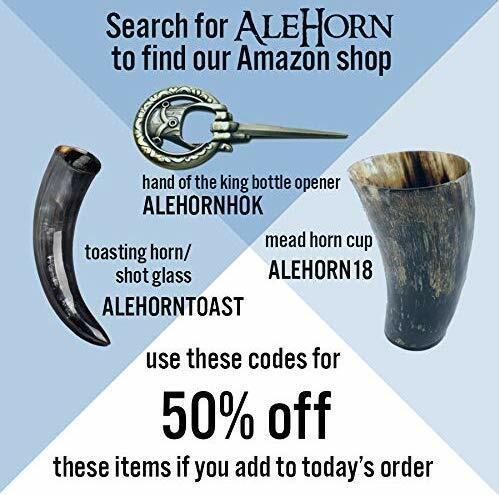 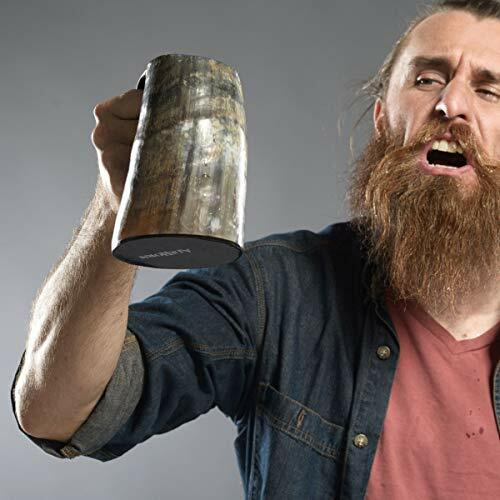 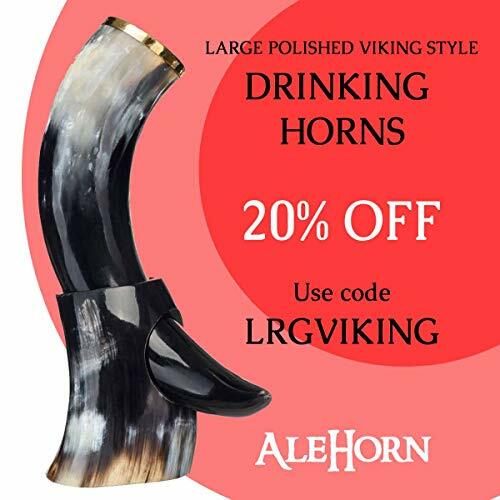 Drink like a proper Viking with AleHorn.